Just been messing with the cyclone eye stuff. Trying to find a nice balance between no eye in small/partial storms and a well defined eye for massive storms. Nice work, makes me want to relive my Cyclone Yasi Experience. EDIT: (Did some research and it does not seem that eyes are smaller the stronger the storm) little tip, The lower the Pressure in the eye and/or the more powerful the storm, the more defined the eye. Though thats is most likely already known but it cant hurt to put it out there. It is but hopefully this should be good enough. Attached this shader to this post, just make sure to rename it to tg_clouds_height, still requires Space Engineer's color file. Those images look awesome, the red looks amazing. Just woundering if this is ment to be like this, Its the ice side of a tidal locked and well all tidal planets i've seen have had a hypercan on both sides and without the shader might I add. I didn't know they had a hypercane on both sides. 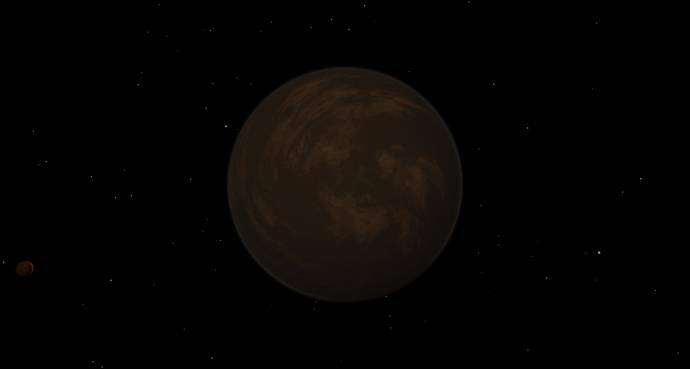 Still though, occasionally the shader mod completely fails to generate one for tidally locked planets. I don't know if it's a problem with SE or with the shader mod. 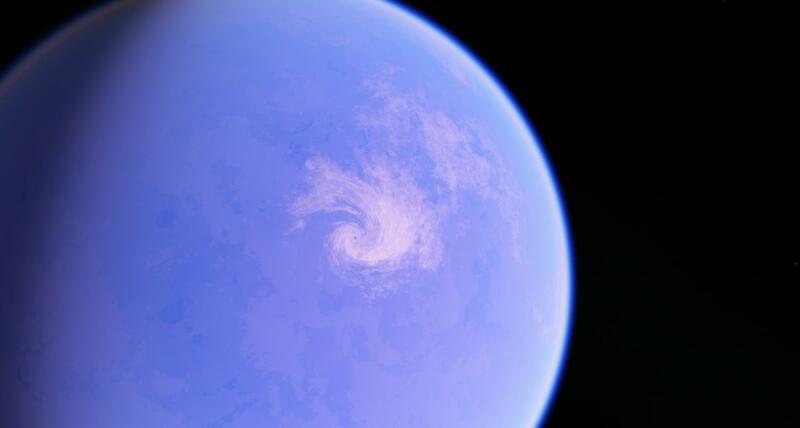 I'm pretty sure Tidelocks only have the one hypercane on their dayside. EDIT: Downloaded, and it's so much better than the official clouds. Great work, DoS! Hello The-Random, welcome to the forum! Please take a moment to read the forum rules. So, is http://en.spaceengine.org/forum/17-1200-14300-16-1351939888 still the most updated version? I see other ones past it, but the OP still links to this one. To be clear, we replace the shaders folder with space engineer's rar (on the first page) then put your shader (again, on the first page) in on top of that? How exactly did you do this, by the way? I see other ones past it, but the OP still links to this one. The links at the bottom of the OP are up-to-date. Even though the post on this page was edited a day after the last edit of the OP? Sorry to be so questioning(? ), just trying to be sure. The one on this page is a more up to date edit of mine but it is still bugged on some cyclones. If you want to avoid any messy bugs just use Space Engineer's. If you want to avoid any messy bugs just use Space Engineer's. Not your's linked in the OP?